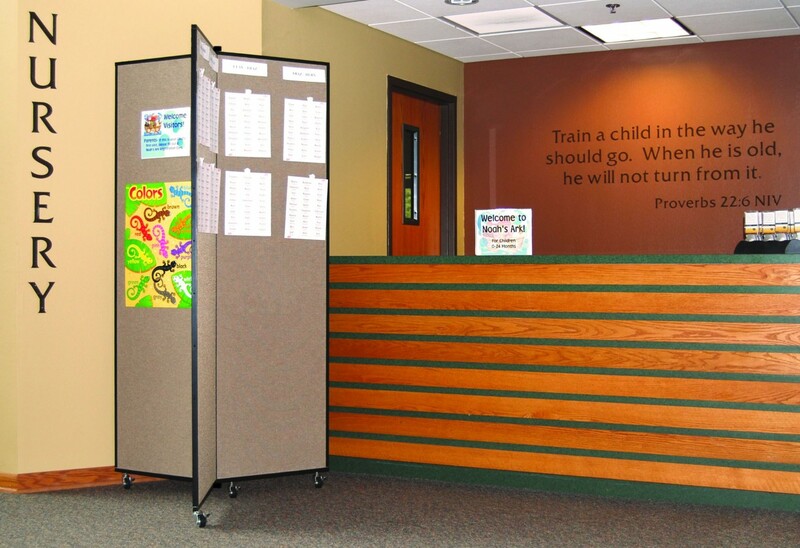 Uses: Church, Religious Colors: Browns/Tan/Beige Heights: 5'-9"
Alpine Chapel in Lake Zurich Illinois shared how they use a Screenflex Display Tower in their nursery. The panels are used to hang the children’s name tags on that are to be placed on each child and parent every Sunday for security purposes. Updates on activities from the day are also posted on the board for parents to view while picking up their children from the nursery.